Jazz Up a Dull Outfit! 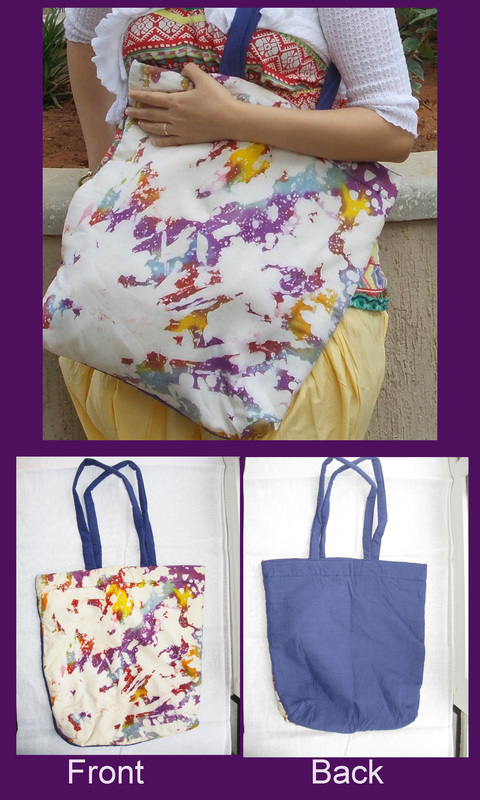 Yet another bag from our collection of Instant Batik tote bags. What do you think folks? Color plays an important part in my life. Especially during these dull and dreary monsoon days. This collection of bright bags aims to jazz up one’s look and of course, be an ideal dumpster to dump your things. Btw – each piece is unique. We do not create multiple designs.